More than half of U.S. adults will have free access to their credit scores this year, President Obama announced Monday in a speech devoted to identity theft and privacy. That's big news for consumers, who have been frustrated for years by the secretive nature of the scores, which often affects their ability to borrow money and participate in other parts of the economy. Joining Discover (DFS) which began offering free FICO scores to cardholders last year, will be JPMorgan Chase (JPM), Bank of America (BAC) and Ally Financial (ALLY). USAA announced it will offer the FICO competitor VantageScore for free to members. Last fall, Citigroup (C) announced it would join the free credit score group early in 2015. "I'm pleased that more banks, credit card issuers and lenders are stepping up and equipping Americans with another weapon against identity theft, and that's access to their credit scores, free of charge," Obama said, speaking at the Federal Trade Commission in Washington, D.C. "This means that a majority of American adults will have free access to their credit score, which is like an early warning system telling you that you've been hit by fraud so you can deal with it fast. And we're encouraging more companies to join this effort every day." Free FICO scores have become more available to consumers since 2013, when Fair Isaac (FICO) announced its FICO Score Open Access program, which gave banks the right to share a score with consumers. Additionally, banks claim the scores have increased customer loyalty. "Consumers who regularly see their FICO scores are more engaged, increasingly loyal and make positive changes in credit management behavior, resulting in improved FICO scores," Fair Isaac said in November while discussing free score programs offered by Barclaycard (BCS) and First Bankcard (FRBA). Here are some more details on the new score programs. Ally Financial: Will offer FICO scores, beginning with a pilot program in February and a full launch this summer to auto finance customers. Bank of America: "We will begin offering credit scores to our consumer credit card customers later this year. No more details to share at this point," Bank of American spokeswoman Betty Riess told Credit.com. Citigroup: The White House announced in October that the bank would begin offering free FICO scores in 2015. That's an estimated 23 million consumers. JPMorgan Chase: Plans to offer FICO credit scores at no charge to Slate cardholders "in the coming months," said spokesman Paul Hartwick. USAA: Will offer cardholders access to the Experian VantageScore, a competitor to the FICO score. USAA is testing the program and expects it will be available to all consumers by March. Keep in mind that there are dozens of credit scoring models out there, and each source may be using a slightly different model from the next as well as data from your credit report a different credit reporting agency. 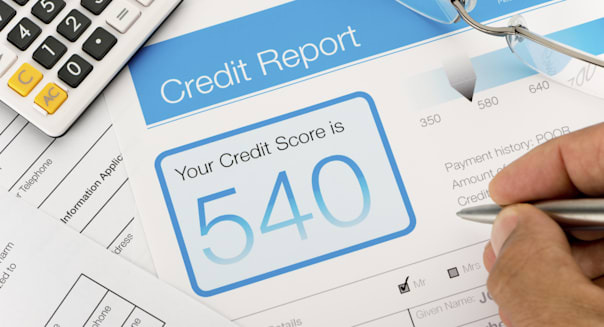 This means that if you get credit scores from different sources, you may see minor -- or even relatively major -- variation among the scores you receive. While it can be educational to see how your credit is measured by different scores, don't let the differences confuse you. If you're using your free scores to track your credit-building progress, or to monitor for changes that are a sign of fraud or an error, it's especially important to monitor the credit changes for the same score over time. In other words, be sure you're comparing apples to apples. It's also important to keep in mind that credit score ranges differ between models as well. For example, if you have good credit you may receive a credit score rating of 700 in one model, but in another model you may be scored an 820 because the scale is different. You can also get your credit reports for free once a year from each of the major credit reporting agencies under federal law. Beyond that, there are many other sources where you can get your credit information for free, like Credit.com, where you can get two credit scores for free every month -- your VantageScore 3.0 and an Experian credit score -- as well as an explanation of why they are what they are.